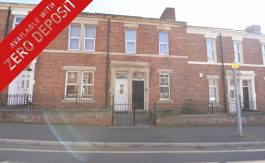 Immaculately presented top floor apartment situated on Shipley Court within this popular area of Gateshead. 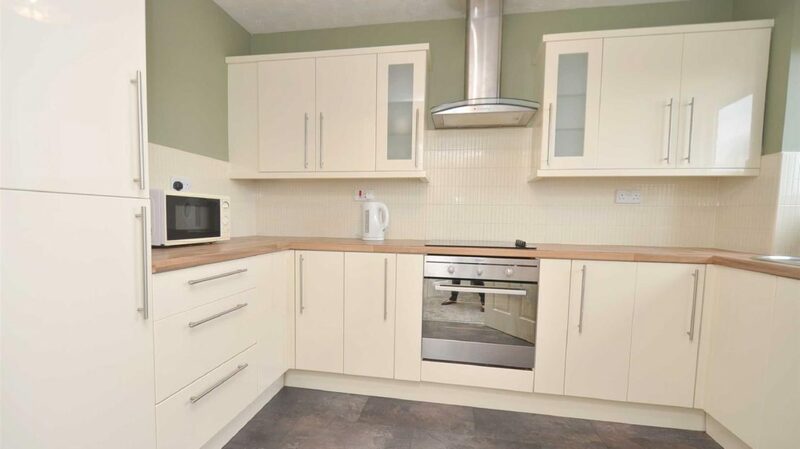 The property is warmed via night storage heating system and has the benefit of uPVC double glazing. 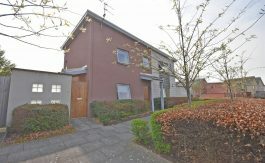 Accommodation comprises of communal entrance way, top floor apartment, hallway, living room, kitchen with an integrated oven, washer dryer and fridge freezer, master bedroom with mirrored wardrobes, one further bedroom and bathroom. 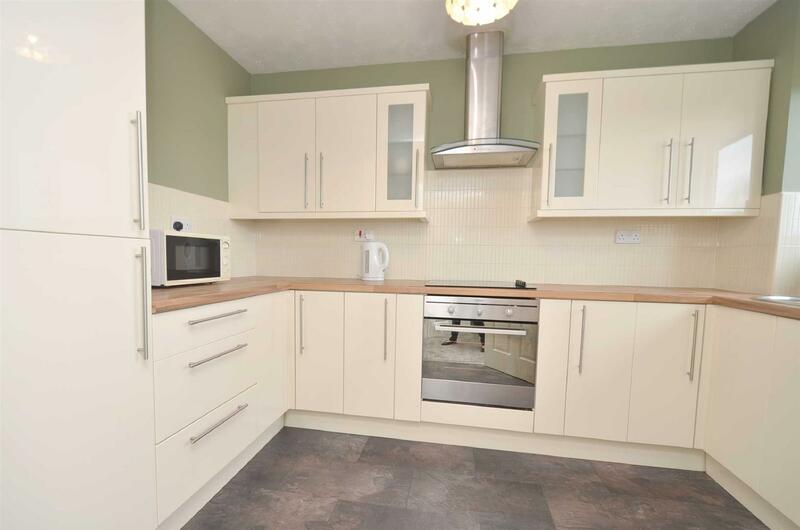 There are communal gardens and allocated parking and viewings are highly recommended to appreciate this lovely apartment. Communal Entrance – Secure communal entrance hall provides access into the apartment block. Apartment Hallway – With loft access, two built in cupboards, one housing the tank and a radiator with decorative cover. Master Bedroom – 3.33m x 3.25m – Mirrored wardrobes to one wall, window to the rear, electric heater to wall. Bedroom 2 – 2.90m x 1.86m – Window to the rear. 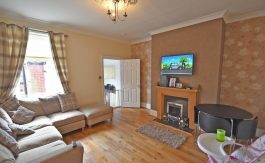 Living Room – 5.26m x 2.99m – Electric storage heater, bay window overlooking the rear aspect with window seat. Kitchen – 3.12m x 2.26m – Base and eye level units with contrasting work surfaces, an integrated oven, glass hob and cooker hood, integrated fridge freezer, partial tiling to the walls, circular stainless steel sink unit which is plumbed for an integrated washer dryer, extractor and a window to the front. Bathroom – Panelled bath with an electric shower over, low level wc, vanity hand wash basin, tiling to the walls, laminate flooring, towel warmer and extractor. External – There is allocated parking and communal gardens.